TiMidity++ allows you to play MIDI files without requiring wavetable synthesis hardware, but at a similar level of audio quality. It works by loading synthesized sound samples (in either GUS/patch or SoundFont format) from files on disk, then using those to output the MIDI data as digital audio. 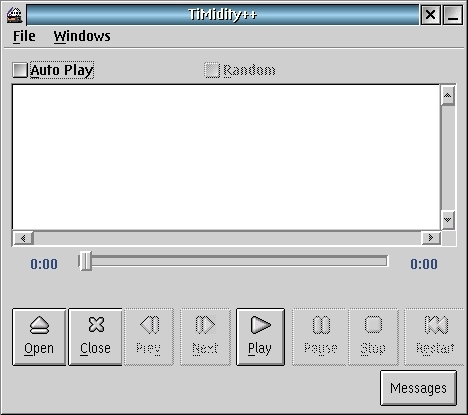 Besides playing MIDI files directly in real time, TiMidity++ can also output the music to disk as digital audio (e.g. WAV) files.